Seen in front of Raffles City Shopping Centre. 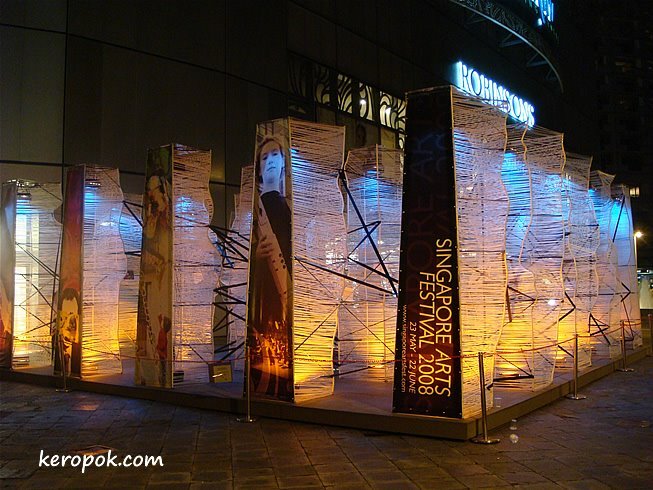 Artistic display with lights that changes colour. I like the colours in this photo! Very eye-catching photo - shapes & colors! Nice! Oooh, I like this! Very elegant.